LAS VEGAS (KFSN) -- The Fresno State Bulldogs are the Las Vegas Bowl champions, beating the Arizona State Sun Devils 31-20. The game was broadcast on ABC30 on Saturday, December 15th and Action News is the place to turn for the best coverage of the Bulldogs. How did Fresno State make it into the Las Vegas Bowl? Fresno State finished the year ranked 21st in the College Football Playoff standings with a 11-2 record. The team punched their ticket to Vegas in a nail-biter of a game, a 19-16 overtime win during a snowstorm that turned Boise State's blue field white. 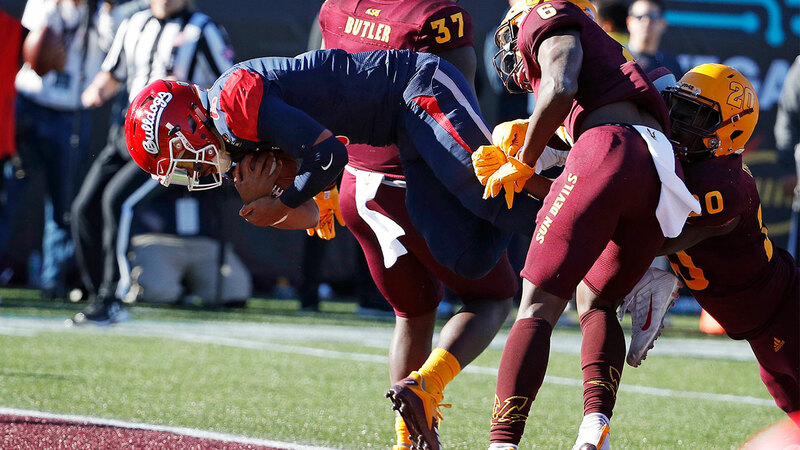 Now Coach Jeff Tedford's Bulldogs will face the Arizona State Sun Devils who finished the year with a 7-5 record, making Fresno State the favorite of the oddsmakers in the nearby casinos of Las Vegas.